Mukah is the 10th Division in Sarawak and have been declared as a Division on 1st March 2003. 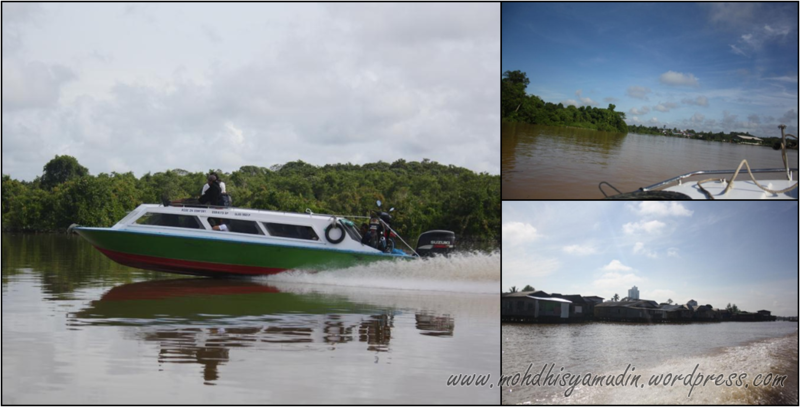 Usually visitors like myself prefer to use express boat or speed boat via Dalat rather than by bus or car to Mukah. 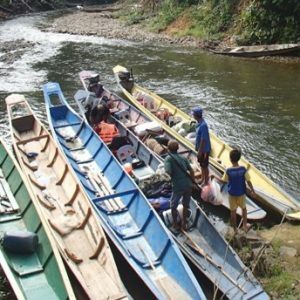 It is because of its unique and interesting scenery along much of the way.The journey to Dalat from the embarkation point of Sibu, takes about 2 hours by speedboat and about 2 ½ hours by land. The speedboat cost to Dalat town costs about RM 20.00 per person and only when it is filled with required number of passengers. From Dalat town to Mukah town by land, the ride takes another 45 minutes. After that we visited the ‘Jerunei’ post near Taman Bulatan Dalat. 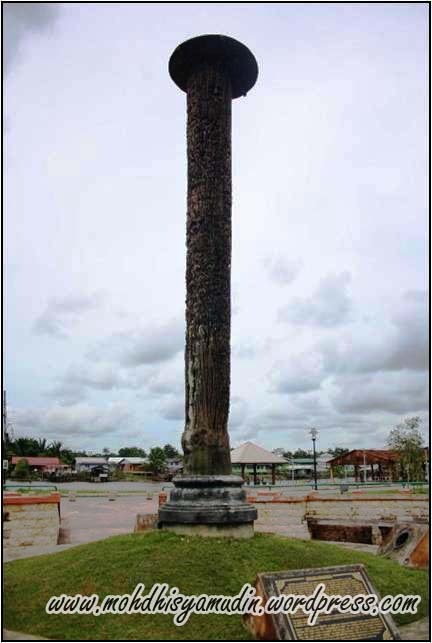 ‘Jerunai’ is one of the remains of the ancient Melanau. 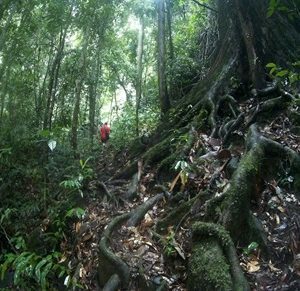 Jerunai was used as the burial place of the Melanau aristocrats or royalists, nobles, dignitaries and merchants who were philanthropists. It was made from large, fully-matured ‘Berlian’ as the wood is long-lasting and can withstand heat and torrential rain for hundreds of years. Two or three holes were bored into the Berlian pillars whereby the bottom and middle openings were meant for the bones of the dead person and valuables needed in the other world. From Dalat town to Mukah town, it was about half an hour road journey. On the way to Mukah, we stopped at Kueh Sepit cookies cottage outlet of Kpg Judan, Mukah. 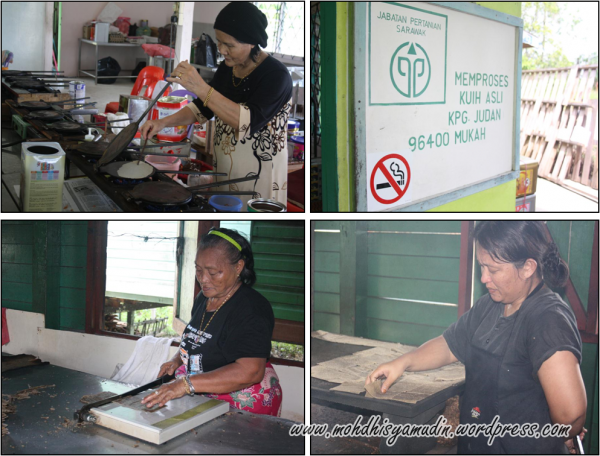 We learn how to make their version of Kueh Sepit which is very popular with Sarawakians. They are made with fresh sago powder and coconut milk. Besides Kuih Sepit outlet, we also stopped at a ‘Tebaloi’ factory in Mukah. 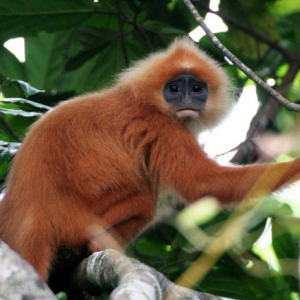 It was located at Kampung Tutus Hilir that was about 3-km from Mukah town. This traditional Sarawak snack, made of sago, is a delicacy of the Melanau people of Sarawak. It is taken as a snack and served to guests with tea and coffee. The unique taste of ‘Tebaloi’ is a very popular snack for all races in Sarawak and is widely available at commercial outlets. (Up : The old lady preparing ‘Kuih Sepit’ in Kpg Judan. 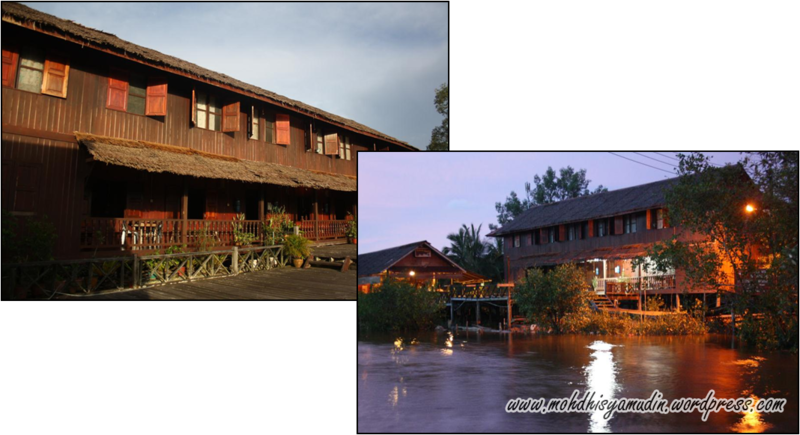 For visitors who want to experience a Melanau tall house, they can stay in Lamin Dana Cultural Boutique and Handicraft Centre. 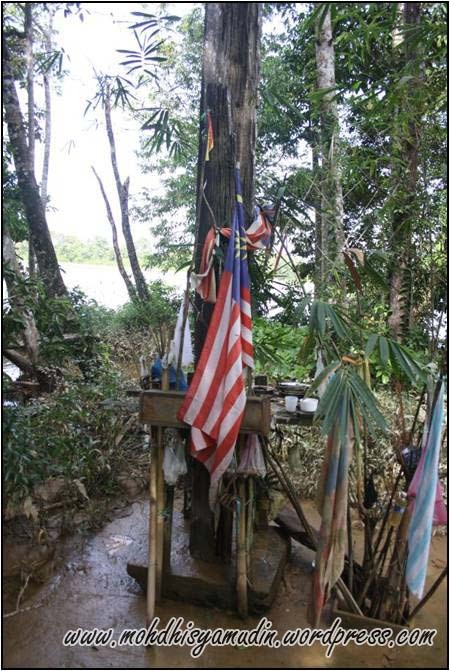 ‘Lamin Dana’ means traditional house in archaic Melanau dialect is a home that welcome guests and visitors. 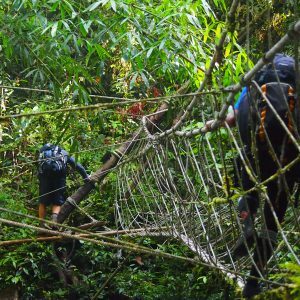 It was built in 1999 and to date, Lamin Dana has received guests from all over the world. Besides being a tall-house homestay tourist project, Lamin Dana represents an effort to preserve or re-create a culture which is on the brink of disappearing forever. 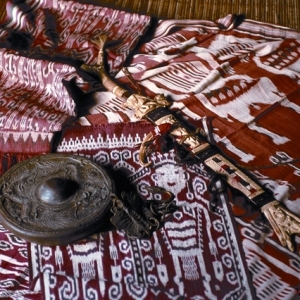 It is a live museum where visitors can learn anything about Melanau culture from dances, crafts, costumes and musical instruments. 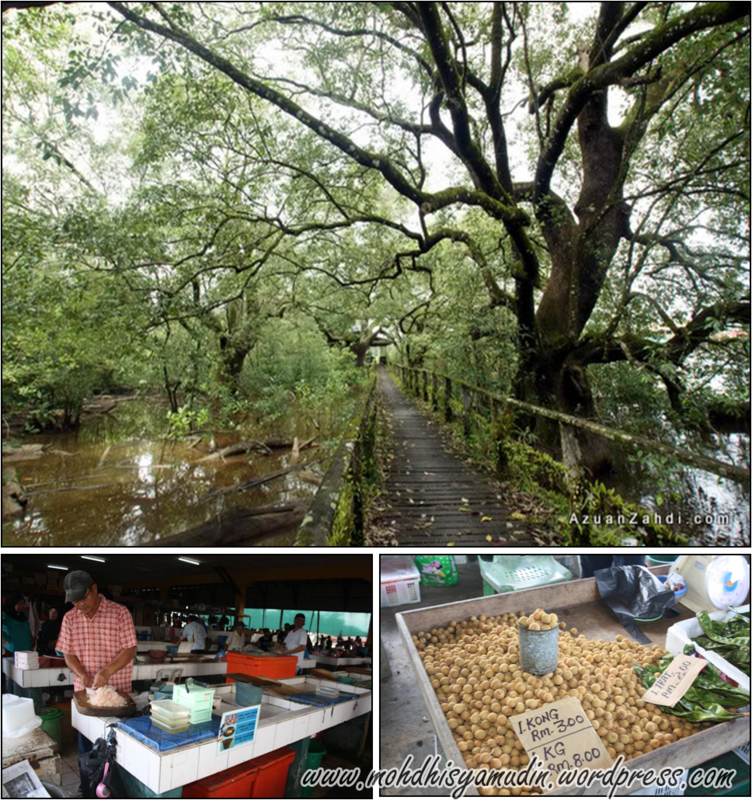 Lamin Dana is a must-visit for any visitor to Mukah. At night, we went to Nibong Seafood Restaurant to have some Mukah local food such as Sago Worms, ‘Umai Sambal’, ‘Umai Jep’ (raw fish steeped in lime), ‘Ikan Terubok’ (a shad species) and Sago Pellet (Tumpi). Nibong Seafood Restaurant is located 5km away from Mukah town. 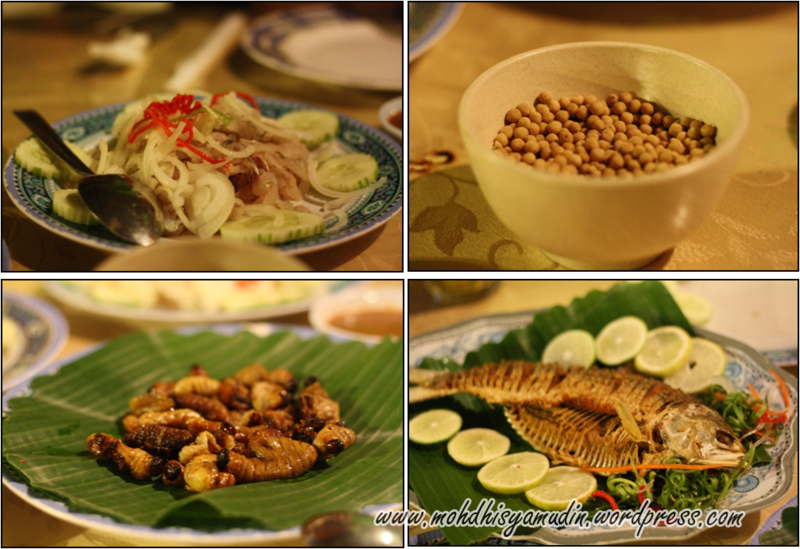 They serve delicious and fresh seafood cuisine…Melanau style naturally. The fish market is also a must-visit if you are in Mukah town. One cannot miss the mounds of freshly sliced fishes ready to be made into ‘Umai’ the delicacy of the Melanaus. 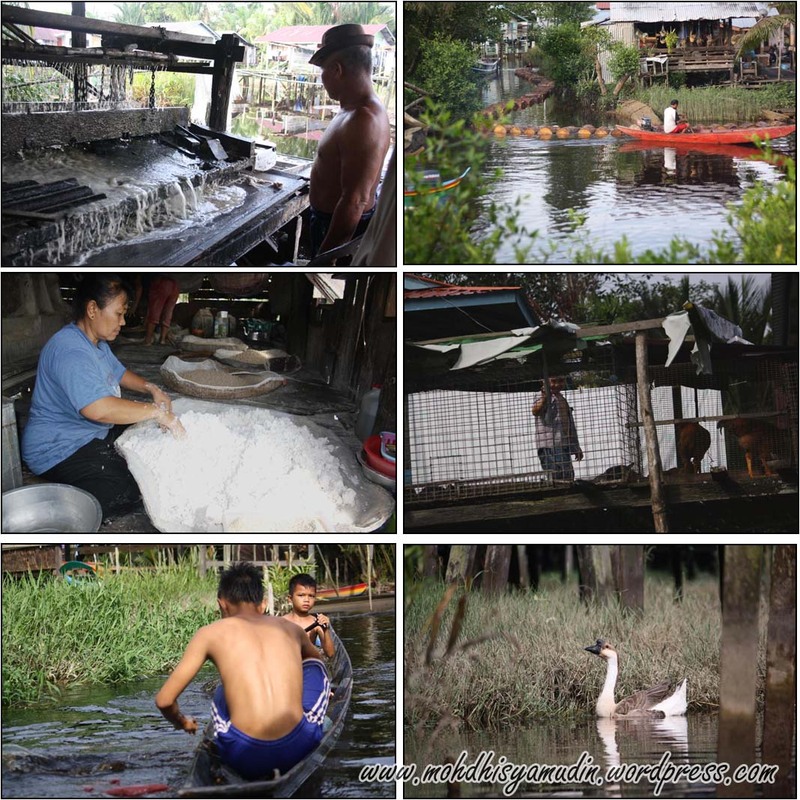 Mukah is the great place to visit because it is rich in culture and history. 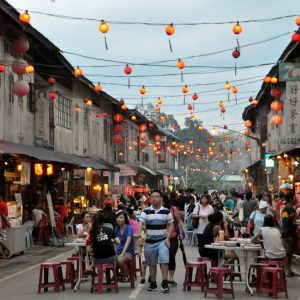 The best period to visit Mukah is during Mukah Kaul Festival held in the fourth week of April every year. 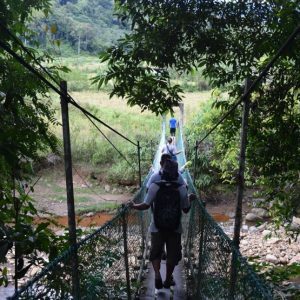 Homestay Experience – Sarawak Style! !